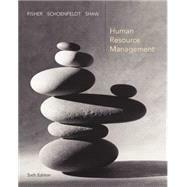 This authoritative text appeals to upper-level students, practicing managers, and HRM professionals who require a thorough grasp of the field's essential functional areas as well as emerging trends. Drawing on their extensive experience teaching abroad, the authors introduce international issues in the first chapter and provide ongoing discussion throughout the text. Instructors can discuss and revisit strategic HRM, ethics, utility (cost/benefit analysis), plus productivity and quality at any point. New! Coverage of improving competitiveness is now embedded in the chronological organization of the text, allowing students to follow the progression of individuals into, through, and out of the organization. New! Partnerships for Strategic Success boxed features highlight the ways real organizations adopt and implement innovative practices consistent with their strategies. New! Chapter-opening HR Perspectives are preliminary cases that introduce chapter concepts through real-world scenarios featuring Xilinx (Chapter 2), Dingo Doggie Bites (Chapter 7), United Airlines (Chapter 13), and Bonne Mare Group (Chapter 17). Updated end-of-chapter exercises and cases challenge students to put concepts into action and to make decisions like those faced by today's human resource managers. Why Is Managing Human Resources So Important? Is Strategic HRM Really Worth All the Trouble? A Different Point of View: Do We Really Need Job Descriptions, or Even Jobs? International Perspective: Sexual Harassment---Or Is It? Ethical Perspective: Anti-Nepotism Rules---Fair or Unfair? A Different Point of View: Fixing Weaknesses or Building Strengths? A Different Point of View: Does the Downside of Performance Appraisal Outweigh the Benefits? A Different Point of View: Do Rewards Motivate Performance? Who Commits Acts of Violence? How Do Employees Decide to Quit? How Effective Have Mass Layoffs Been? Flexibility in the Workplace: Are You Flexible Enough for Today's Employees? Ethical Perspective: Firing for Off-Duty Behavior---Legal? Ethical?